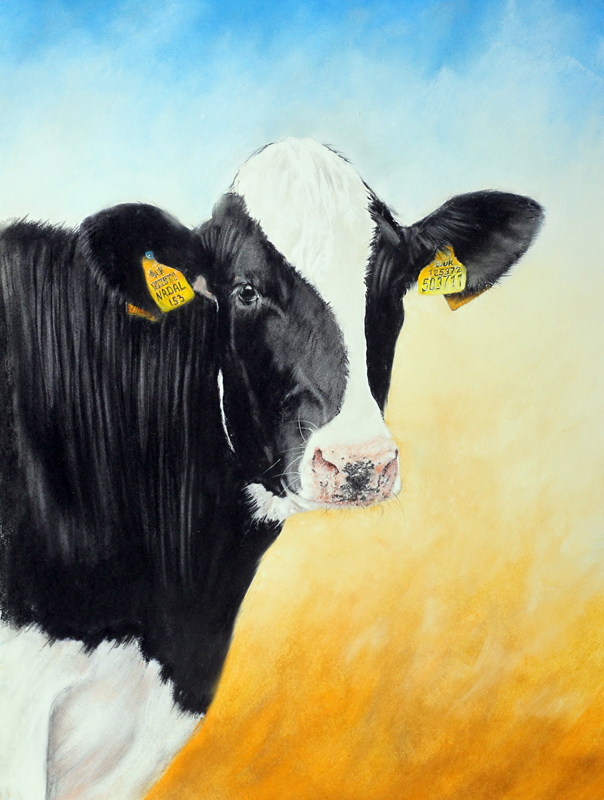 This is an 28″ x 21″ original pastel study of a year old Friesian cow. She has just arrived in the field next to our house where she will spend the summer before going on to motherhood and then she will become part of a milking herd. 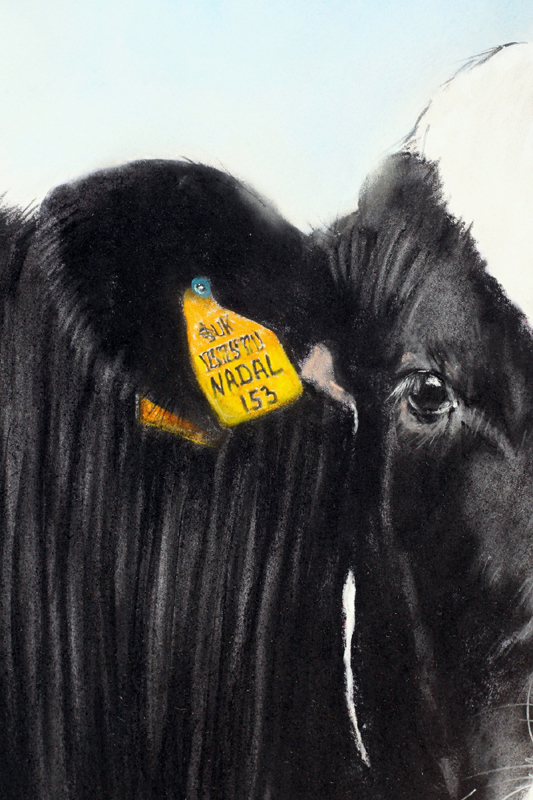 The name on her tag is ‘Nadal’. The work will be sent unframed in a heavy duty roll. Don’t be worried that the work is sent unframed. This means that delivery is free, it arrives safely and quickly and you can chose your own frame. You do not even have to handle the painting. I will provide detailed instructions. All you have to do is take the roll to your local framer, chose your own frame and he will do the rest. 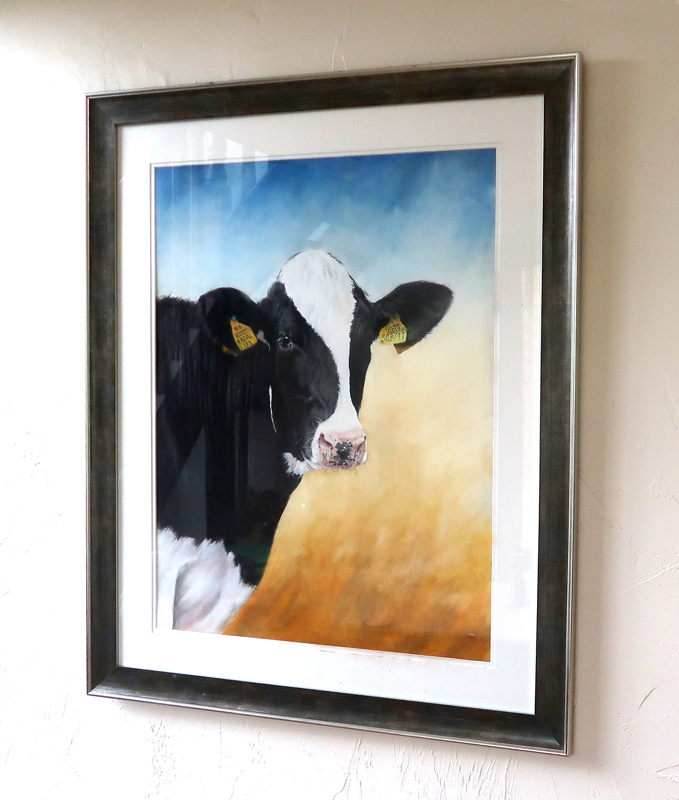 The framed image is to show what it could look like framed – although, if the painting is collected from the gallery the frame shown is FREE. If you require further information regarding this painting please ask, I will respond quickly.